Released in WordPress version 5.0 is the new WordPress editor, which is a big change from the traditional WordPress TinyMCE editing suite. 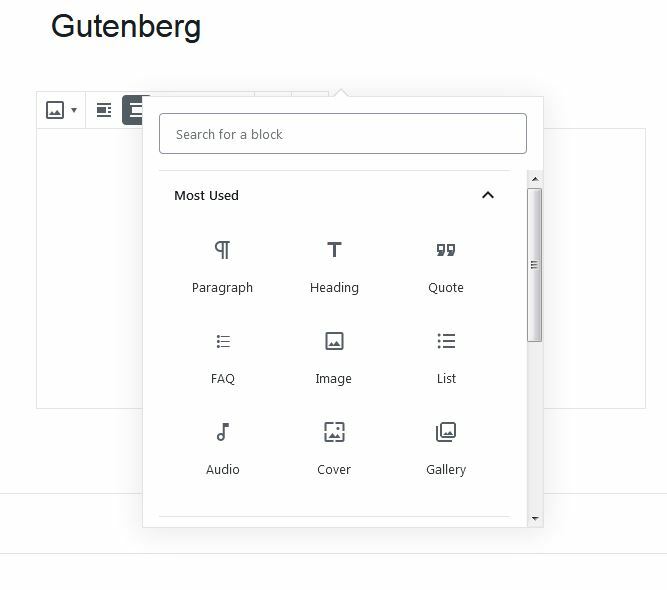 Gutenberg is a block based editor for pages and posts, which allow you to to create a more functional and complex design based around adding functional blocks of options. These blocks can then be added, individually edited, moved and duplicated to create your design. Is it a Page Builder? Although in its initial release format, Gutenberg is not a true page builder package and has far less features than the popular packages. However the current functionality does improve on the speed the design and gives the user experience on page builder design. We are only in the initial release so there will be improvements to the block functionality and block listing. How willl this affect my web site? Sites developed using a page builder package will not be affected and there are plugins and code you can add to the site to disable Gutenberg. We have updated many sites since the release of version 5.0 and have seen very few issues.